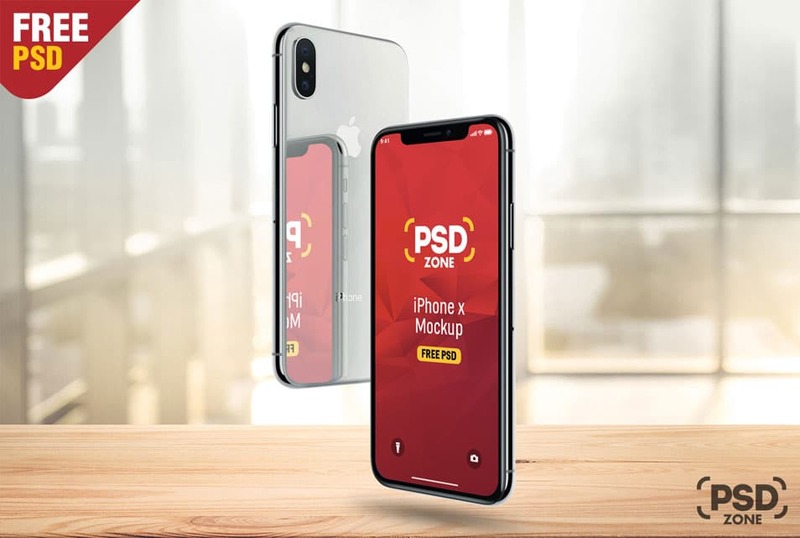 Available for download at psd.zone, this is a free PSD of a Mirrored iPhone X Mockup. The PSD file is easy and fully editable with smart objects. This Mirrored iPhone X Mockup is perfect for showcasing your mobile app screens in a photorealistic way. You can easily edit the mockup according to your design needs and requirements. Moreover, artwork can be added to the Apple iPhone X Screen via the included Smart Object without worrying about the perspective and placement. You can also change the background color easily and quickly. Finally, in the link, you can find the download tab and the full preview of the mockup. You can also check out other freebies and related projects such as a handheld iPhone X mockup, hanging t-shirt mockup and so much more.